Custom survived: The Abbot Bromley Horn Dance 100th Post! An obvious choice for the 100th post but there is something mesmerising about this perhaps the oldest dance ritual in Europe. Many have said this was the first custom which made them fascinated in our strange customs, such as Averil of the excellent Calendar Customs website. My first experience is back in the 1990s and I travelled from Bristol to see it! It is perhaps one of the most instantly recognisable and iconic, with its olde world dress and impressive reindeer antlers- the horns- which are danced with. How old is it? This is a moot subject and depends on whether you need hard evidence. 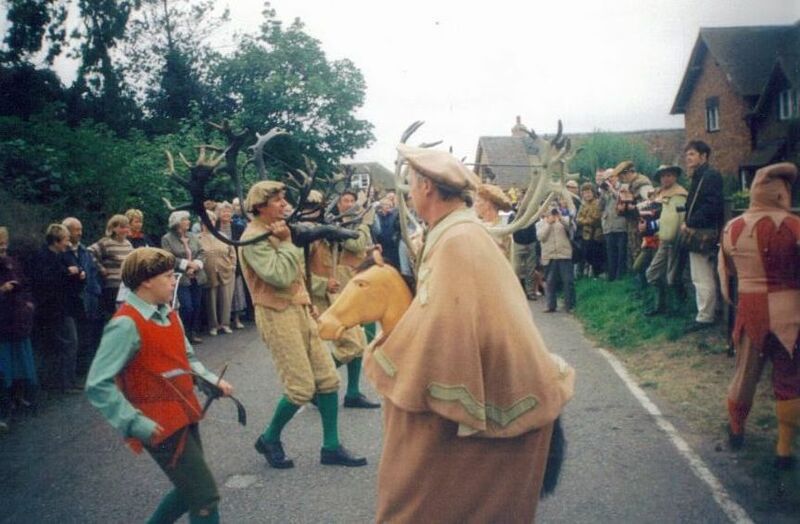 The earliest reference is in Plots 1686 Natural History of Staffordshire, but there reference of a hobby horse being used in 1532 with ‘six men carrying rain deer heads’ but that does not necessary mean the dance is that old. More convincing is the evidence of the Carbon dating of the Horns, which dates them to the 11th century, 1056 more accurately, suggesting an Anglo-Saxon origin perhaps. It has been suggested that it may have pagan origins, certainly it is significant that reindeer would have been extinct by the 11th century. Does this suggest the custom had a Norse origin, as reindeer are still extant there? Did the horns come later if so why? Some authorities had related the custom to privileges from the time when hunting was undertaken in the nearby Cannock Chase. Interestingly, the appointment of a forester continued until the 16th century and that they were called the Forester of Bentylee and it is the name of Bentley which continued organising the events until 1914. Coincidental perhaps? The horn dance as Plot noted is on Wakes Monday which is after the first Sunday after the fourth of September. It’s a long day…the antlers are removed from the wall location early at 8 am after a blessing at the church, where they lay for 364 days a year and the dancing begins. Already there is a sizeable crowd ready to watch as they weave in and out of themselves on the green as the six dancers face each other and try to avoid the heavy horns, weighing around 25lbs, clashing. Interestingly, red deer antlers are used when the team perform outside of the village making witnessing the custom in situ more special. The dancers have a quaint dress which might suggest evidence for an early origin but sadly these have a fairly recent origin, 1880s by the vicar’s wife, and before then they would wear normal clothing. 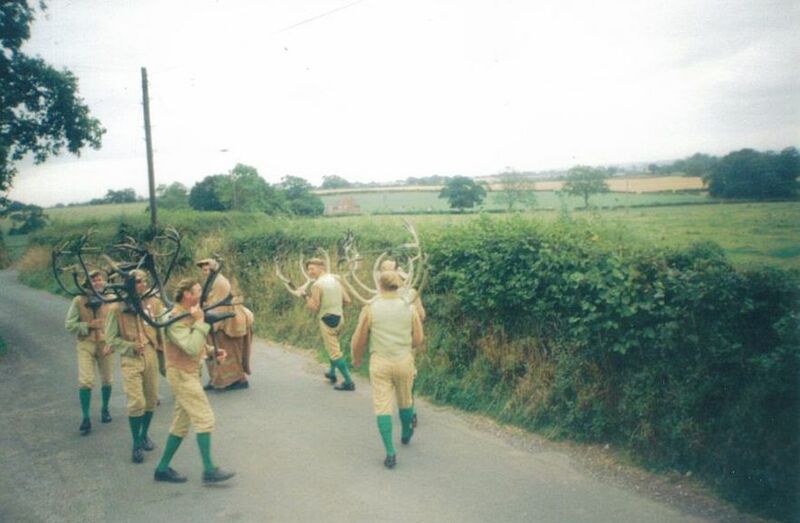 Then off they went around the Parish, stopping in back lanes and open spaces to hypnotically play their tune and do their dance. One of the notable locations is Blithfield Hall. Here one can get a view of the dancers without the throng of observers and often photographers and get a real feeling of its ancient mesmeric nature.